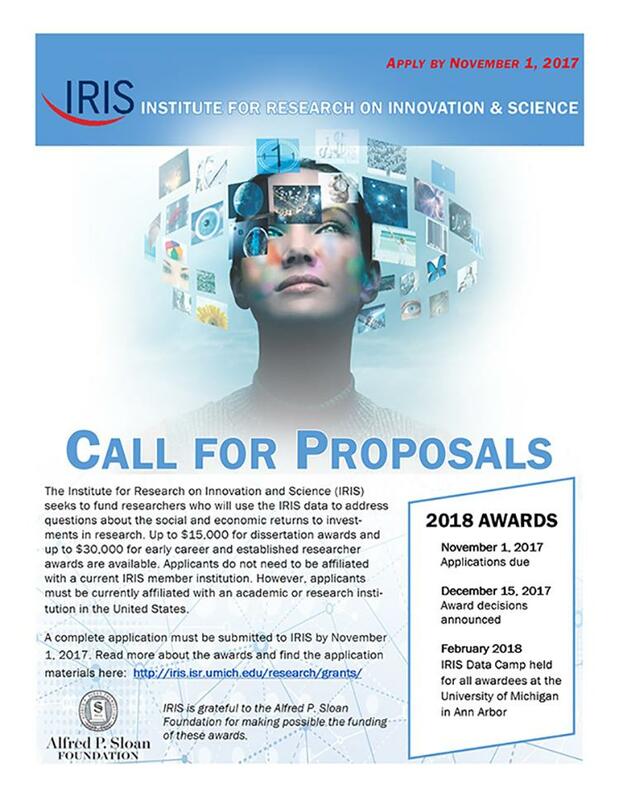 The Institute for Research on Innovation and Science (IRIS) is excited to announce funding for researchers who will use the IRIS data to address questions about the social and economic returns to investments in research. Up to $15,000 for dissertation awards and up to $30,000 for early career and established researcher awards are available. Funds can be used for personnel (e.g., research assistance, salaries, or stipend if recipient is a student), equipment, supplies, travel (may include travel mandated by the award), and other expenses (e.g., professional development and training). Applicants do not need to be affiliated with a current IRIS member institution (see the list of IRIS members). However, applicants must be currently affiliated with an academic or research institution in the United States.